The life of a cricketer can be a pretty lonely one at times and frequent travelling is one of the key factors to this particular state of affairs. However, bonds of great friendship are formed among cricketers who are roommates and over the years, Indian cricket has seen plenty of such friendships flourishing. Sometimes, some cricketers have been roommates right from the time when they were school cricketers and found themselves sharing a room once again when they donned the India colours. Over the course of Indian cricket, there have been plenty of famous pairs who have shared rooms regularly and forget great friendships in the process. Here is a look at 5 of them. Former Indian opening batsman Sadagopan Ramesh, who opened for India in Test matches between 1999 and 2003, had often been room-mates with VVS Laxman during their international career. 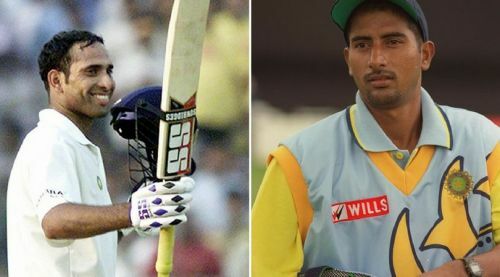 Most notably, the pair were room-mates during the memorable home series against Australia in 2001 and Ramesh only has good memories of the time spent with Laxman, although their personalities were quite contrasting. Ramesh told Mint, “Laxman and I had a great time though we are completely different personalities. He would eat, drink, breathe, live cricket; I am a man with very little patience. I can’t watch cricket if I am not batting.